Recently, NJ Top Dentist, Prosthdontist, Dr. James Courey was invited to host a presentation to Seattle Study Club's Hygienist Study Club in Red Bank NJ. He covered topics such as dental education, diagnosis, and advocating for patient"s dental health needs. 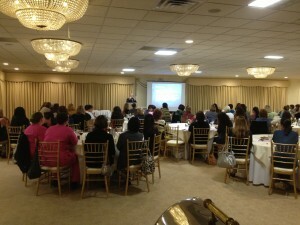 Dr. Courey was able to offer New Jersey's finest dental hygienists the unique perspective of a specialist and the valuable role hygienists play in providing the best dental care available. Ongoing dental hygiene and routine dental exams are paramount when maintaining healthy teeth and gums. Many conditions like cavities, periodontal disease, tooth decay, and tooth loss are prevented in the dental hygienists" chair. If it has been a while since you have visited the dental office or a dental hygienist, please call us at 732-577-0555 to schedule your appointment at our Manalapan office.